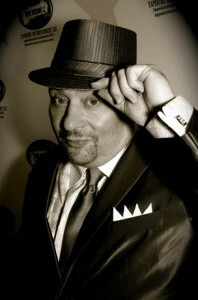 Tommy Delcorio Jr. also known as Tommy D and “The Philadelphia Crooner” is a jazz singer. He earns his nickname with good reason. 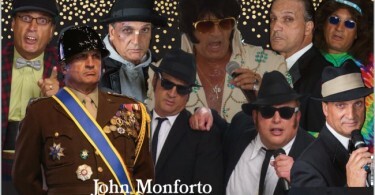 Delcorio Jr. specializes in the music of Frank Sinatra, recording and performing classics such as “Fly Me to the Moon”, “Put Your Head on My Shoulder”, “I Believe in You” and “You Make Me Feel So Young”. 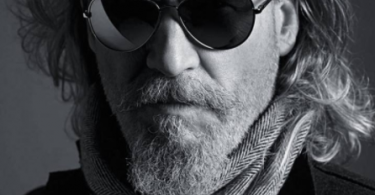 True enough, the vocal quality he has is worthy of old Blue Eyes, to the degree that you might forget he’s only impersonating. No matter what track you’re listening to, Delcorio, Jr. never pushes through anything. His voice is relaxed, maintaining the luxurious, sweet sophistication Sinatra was famous for even when the tempo is rowdy. One thing that makes Delcorio’s music so good is that he’s clearly taken the time to master some of the traits common to golden era singers. For instance, he consistently sings through consonants at the ends of words. In another genre like classical, this approach would be horrendous, the view being that only vowels really are sung and that consonants are for stopping sound. In jazz, though, humming through consonants is perfectly acceptable, offering a much more speech-like interpretation that, by some arguments, sounds more realistic and natural. Additionally, Delcorio, Jr. lets his line scoop or fall ever so slightly based on the natural inflection of the lyrics, not worrying about making the words overly crisp. 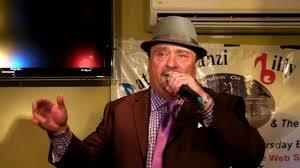 Tommy Delcorio, Jr. is a sought after entertainer in the tri-state area. He performs in a way that stays true to the golden era style of jazz music. Tommy creates the perfect atmosphere if you need something to feel smooth, seeming perfectly comfortable at the mic regardless of whether he’s wooing with a ballad or firing things up with a quick swing number. 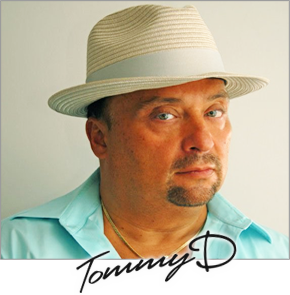 For weddings or events where a festive ambiance is vitally important, Tommy Delcorio, Jr is a perfect candidate for the event. His voice and stage presence will fill the dance floor and and electrify the festive mood. 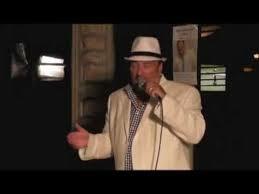 I have followed Tommy D for years .I am enjoyed the sounds of Sinatra for years .Tommy has truly brought that sound back with a earthy tone to his voice .If you took the phrasing style of Frank SInatra and the warm smooth tone of Nat King Cole and mixed them in a martini glass you would have the voice of Tommy D .Like all great performers Tommy has the charisma of the great showman like Frank Sinatra , Dean Martin , Bobby Darin, Louie Prima just to name a few.Tommy Delcorio Jr on screen in films plays his characters with passion and in fulkl character like Mararlin Brando, Robert Deniro and Al Pacino. Hey, Dennis! He does have that quality of performing that lets you just sit back and enjoy! I agree, entirely, about the charisma comment you made — He definitely has a lot of that!